Restore and regain your hair's strenght. 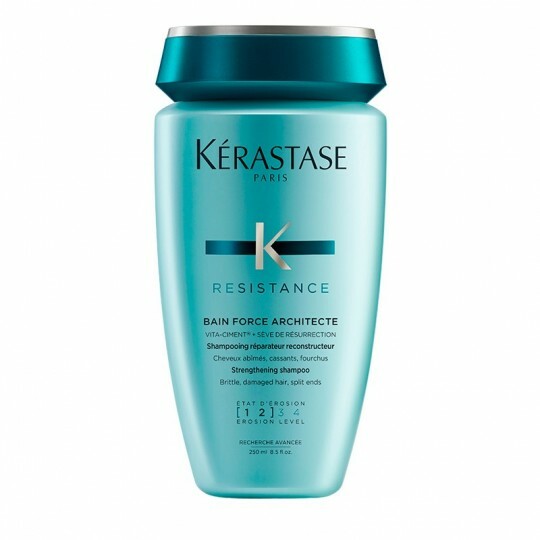 Bain Force Architecte is a restoring shampoo to strengthen weakened hair. It rebuilds capillary matter and revives hair fibre from the inside. 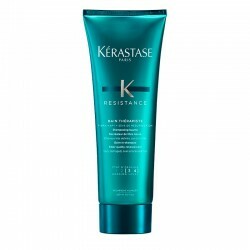 It gently cleanses and provides lightness and looseness to the hair, allowing it to regain its natural movement and elasticity. Your hair becomes healthy and shinier. It restores capillary matter from the inside. It repairs and strengthens the hair. It leaves a healthy and shiny look. 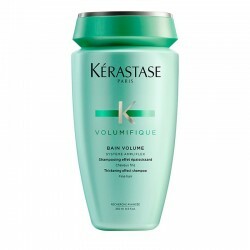 Apply on scalp and damp hair and give a massage with your fingertips to equally distribute the shampoo. Leave it on for a few minutes and rinse thoroughly. 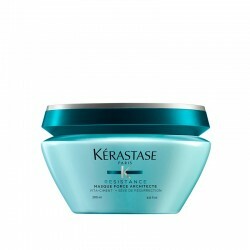 It is recommended to proceed to a second application on very damaged hair in order to promote a faster recovery. Vita-Ciment: the fibre regains resistance and solidity thanks to Vita-Ciment's consolidating and rebuilding action in the intracellular cement of the fibre. Sap's Resurrection plant: it strengthens the hair thanks to its regenerative and revitalising properties. Ceramides: they rebuild intracellular cement and strengthen hair fibre. Javier Marín, director and stylist in Javier Equip S.L. 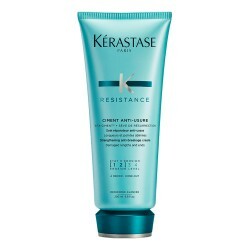 and Kérastase ambassador. 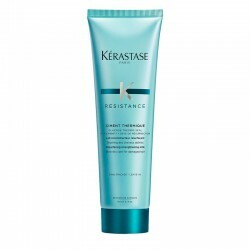 The Résistance range was created to revive damaged and weakened hair. 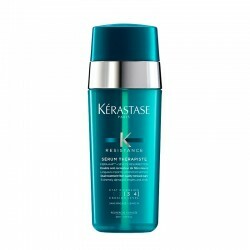 Its main objective is to rebuild the hair's internal matter to provide a healthy, manageable and vital look. Hereafter, we advise you on the perfect products to achieve optimal results. 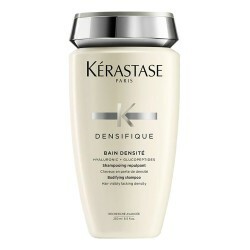 Strengthening and repairing shampoo for fragile or damaged hair, for daily use. 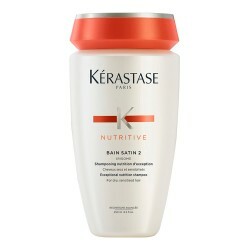 Strengthening conditioner for fragile or damaged hair. 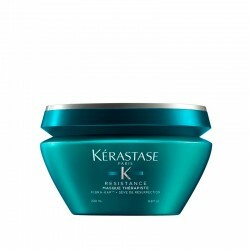 Thermoprotective cream for fragile or damaged hair.